We would like to inform You that we are closed on 20 August. Thank you for your understanding!  Krizia Restaurant is the result of 30 years of culinary experience and expertise on the part of owner-chef Graziano Cattaneo. 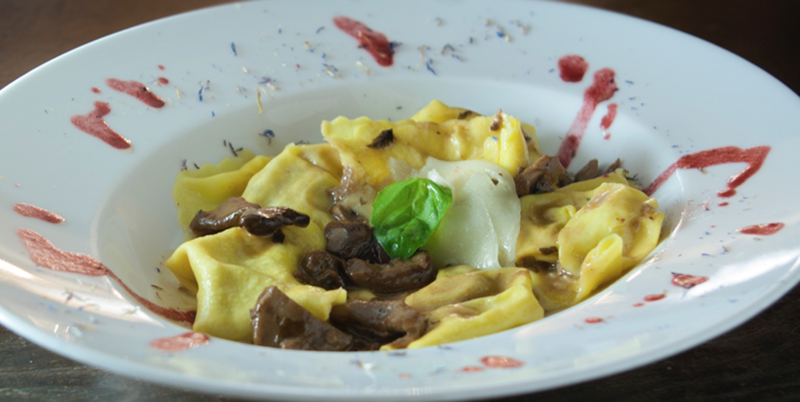 It strives to show the genuine, natural, creative and traditional aspects of Italian cuisine based on the experience gathered in the world’s best hotels and restaurants as well as in the realm of flavors and aromas. 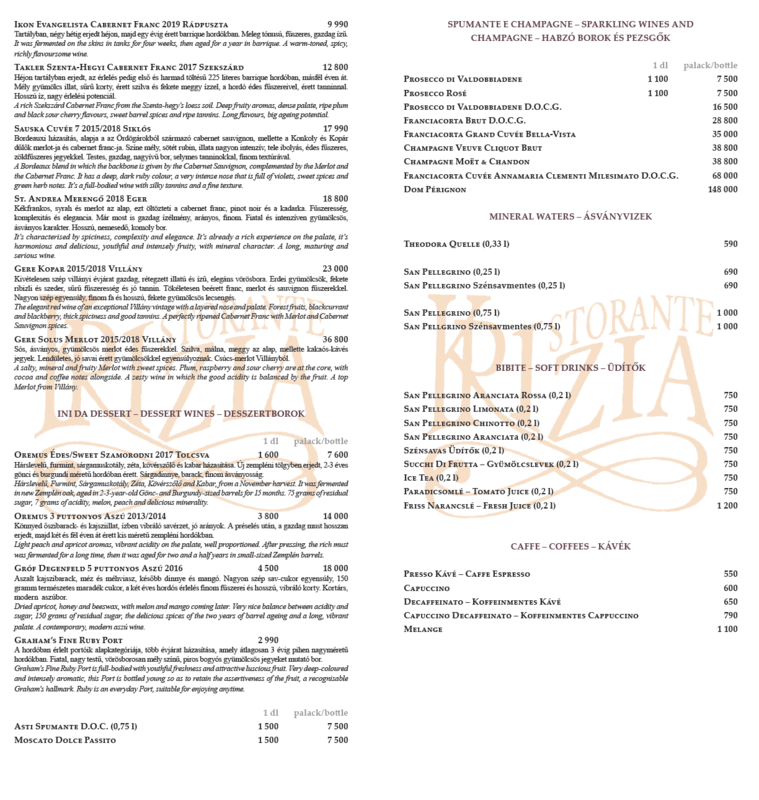 Krizia Restaurant presents all of this within a rustic family atmosphere, and under the continuous guidance of the owner. Graziano’s imagination can truly soar when in order to satisfy the wishes of the guests improvised menu items are created. 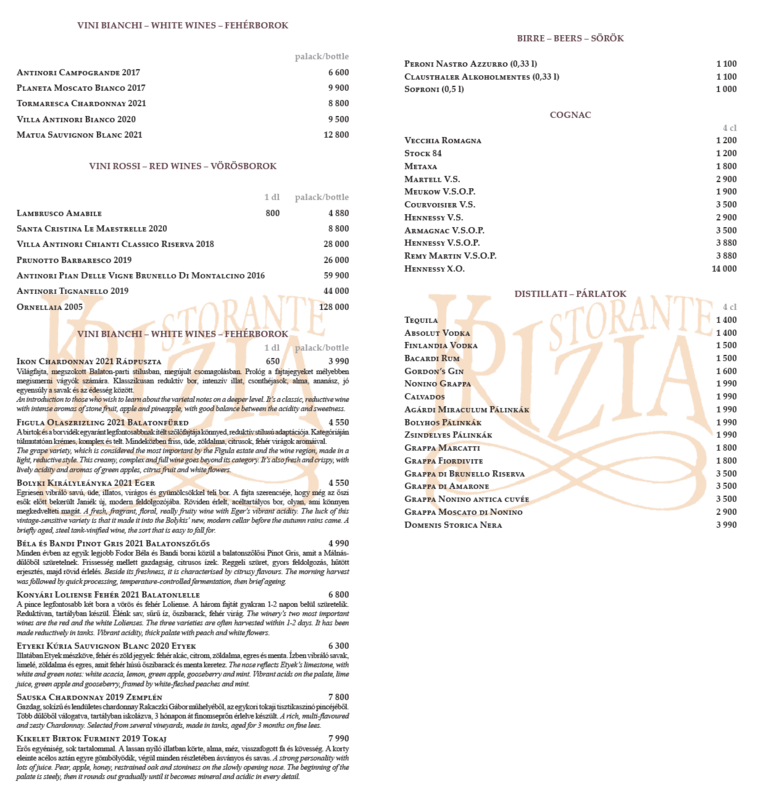 Verifying this are the various positive reviews in the writings of among others the “Wittmann” boys, in which Krizia is considered among Budapest’s best restaurants. 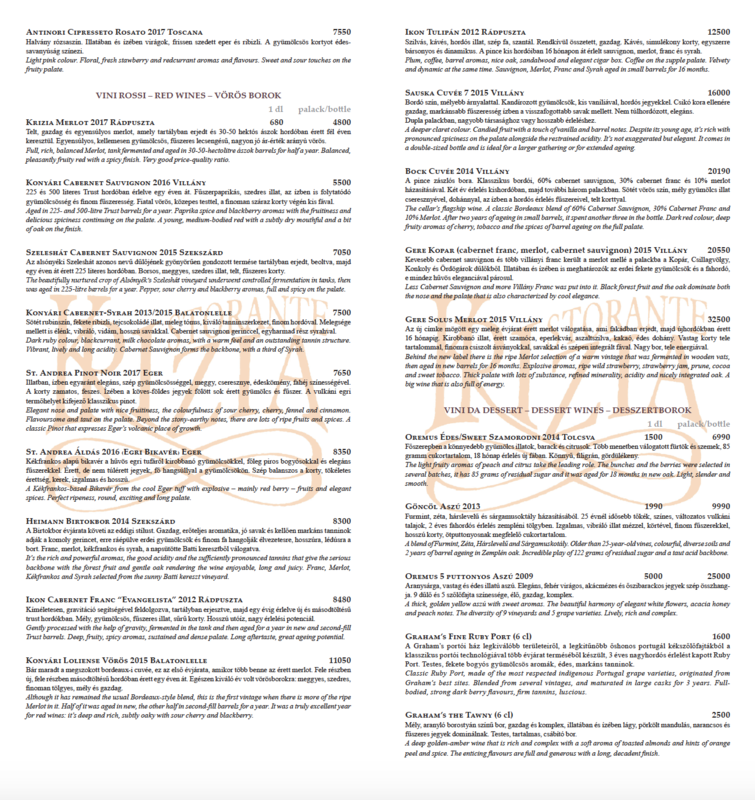 Guests from both Hungary and abroad gladly revisit Krizia Restaurant. 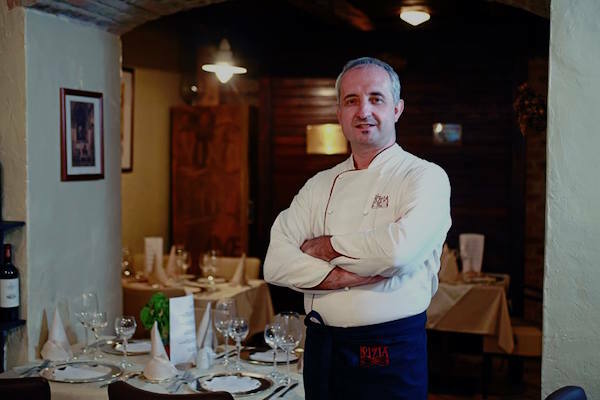 "The taste of Italy... in the heart of Budapest!" DEGUSTATION MENU 11000 Ft Poché crispie egg with asparagus and paemesan cheese sauce Italian risotto with asparagus and taleggio cheese Filetto di branzino gratinato Day sorbet Veal fillet with fresh asparagus Italian easter cake parfé Wine selection: prosecco di valdobbiadene, Greco di tufo San paolo, Primitivo Eméra, Asti spumante - 5000 HUF! 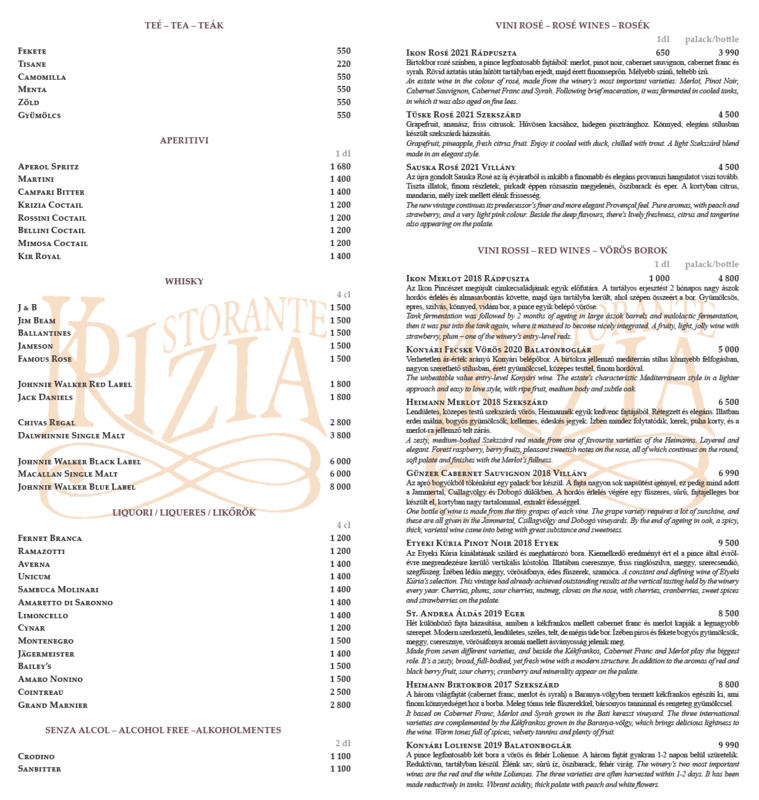 MON - SAT 12pm - 3pm and 6:30pm - 0:00pm, orders until 11pm. The restaurant is closed on Sundays. Accepted Credit Cards: Mastercard, Eurocard, Visa, Amex.